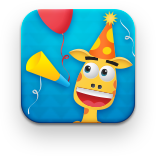 With Shiny Party we wanted to make the app measurably better than Shiny Picnic in two key areas: fun and interactivity. This was a tough proposition as kids everywhere have been delighted and enamoured by Shiny Picnic but we feel we’ve succeeded. Our painstaking development process started about 4 months ago and after countless hours of design, play-testing and implementation we released the app on the 1st of May. It’s very tough to choose a favourite part of the app, but we are particularly pleased with the kitchen scene inside the book and the puzzle game where kids get to build cupcakes. The latter in particular is a lot of fun whilst retaining the key educational goals we set out. Shiny Party is suitable for children who are about to enter pre-school and will assist them with their knowledge of colours, basic shapes, parts and wholes and literacy. 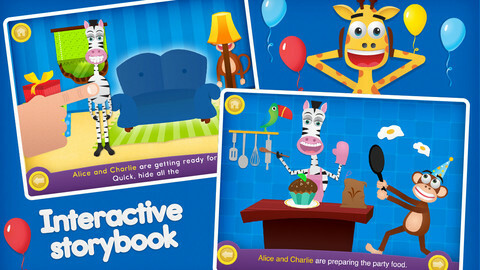 Kids will enjoy all aspects of the game from the interactive storybook to the carefully crafted puzzles. Charlie and Alice are throwing a surprise birthday party for their friend, Ralph! Can you help them throw a party to remember? 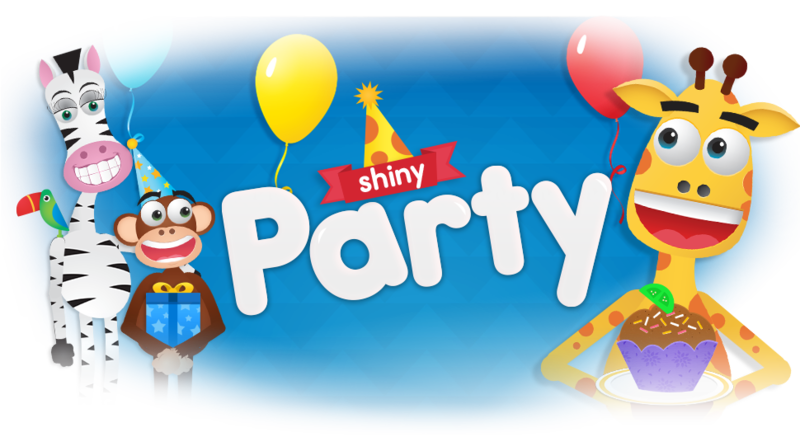 Shiny Party is a learning tool for 2-5 year olds, providing a fun and engaging way for children to explore vital early mathematics concepts. As children play Shiny Party they will be practicing essential basic geometry skills, but they’ll never know that they’re learning! – Recognise and name basic shapes and colours. – Learn the properties of basic shapes. – Find shapes within pictures. 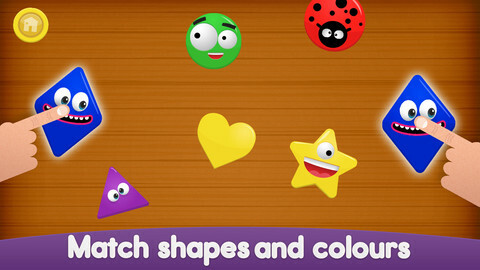 – Match shapes of differing sizes, colours and orientations. – Complete picture puzzles by fitting shapes of different orientations together. – Recognise that shapes are the same regardless of orientation . – Join basic shapes to form other shapes. – Recognise parts of an object and put them together to form a whole. – Literacy skills and whole-word recognition, with text highlighting as the story is read aloud, key sight-words and press-and-recognise text. – Fine motor skills and hand-eye coordination as children catch, grab, drag and swipe on-screen items.